Two Colombian brothers, tired of their bulky and inefficient wallets, tried to find the perfect wallet to fit their needs. However, since they couldn't find it, they decided to join forces to create the best wallet on the market. 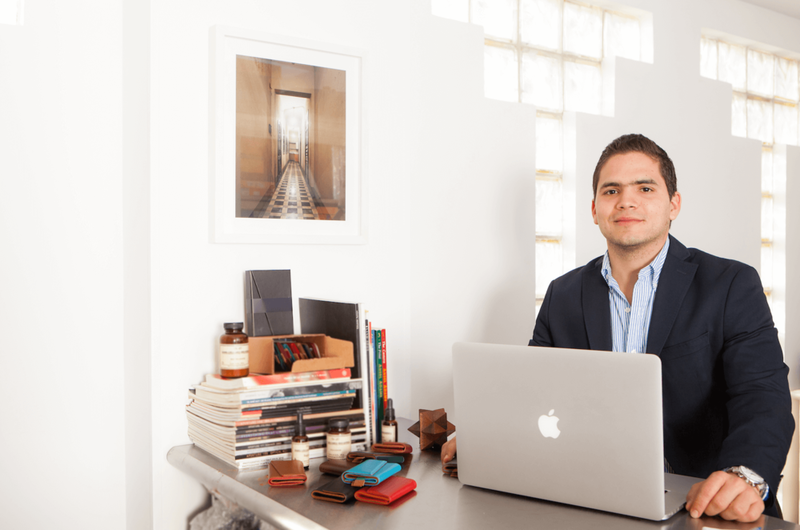 Camilo, a Civil Engineer with a truly creative mind, and Daniel, a Business Administrator with a rigorous managing background, were able to bring to life The Frenchie Company: The place where Style meets Function. Inspired by their passion for high quality goods and functionality they started building their dream of helping people be more productive with style. Launching their brand through a crowdfunding campaign on Indiegogo, they sold more than 3.000 articles in 38 days, making it one of the most successful Colombian crowdfunding campaigns ever. The Mejia brothers and the fabulous team they have shaped are very passionate about high quality products and believe in innovation as a way to improve people’s lives.